Though they didn't participate in combat, the contribution that women made on the home front during World War Two, can't be over stated. They had to take the place of men who went off to fight the war, and without their contributions, the war would have been harder to win. The Video below is from the Library of Congress, and covers the history of Rosie the Riveter, the iconic figure from WWII, who represented the contribution women were making on the home front to win the war. 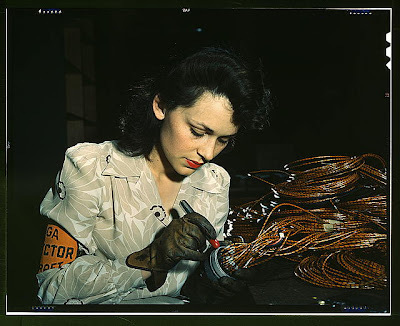 Further down the page, there are also photos of some real women who worked in factories and other jobs, to help win the war. 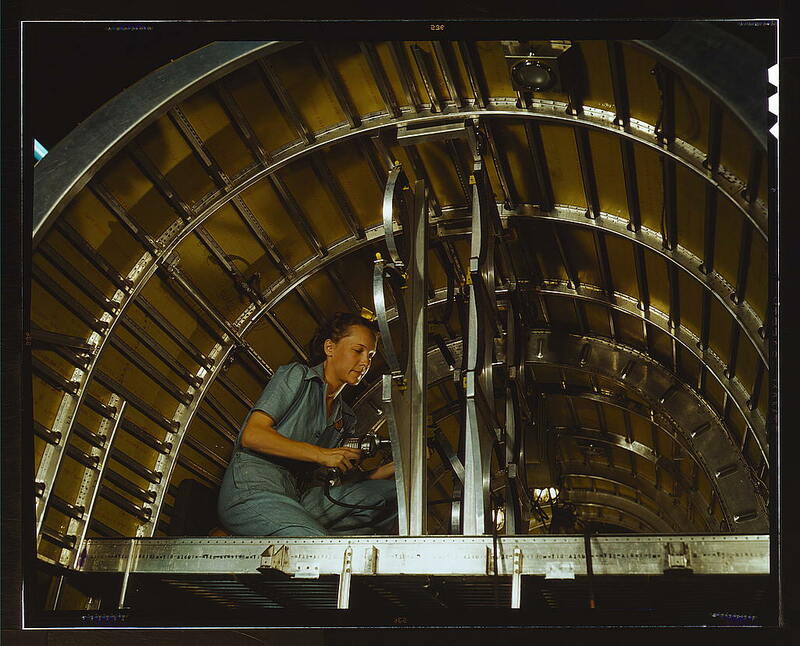 This photo is from the Libary of Congress WWII Color Photo Collection. 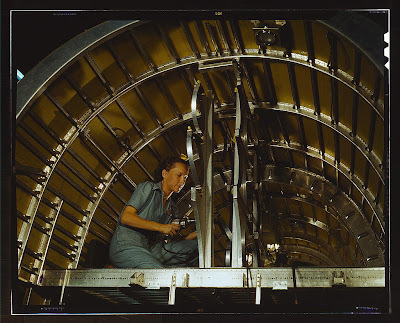 Title: Woman aircraft worker, Vega Aircraft Corporation, Burbank, Calif. Shown checking electrical assemblies . 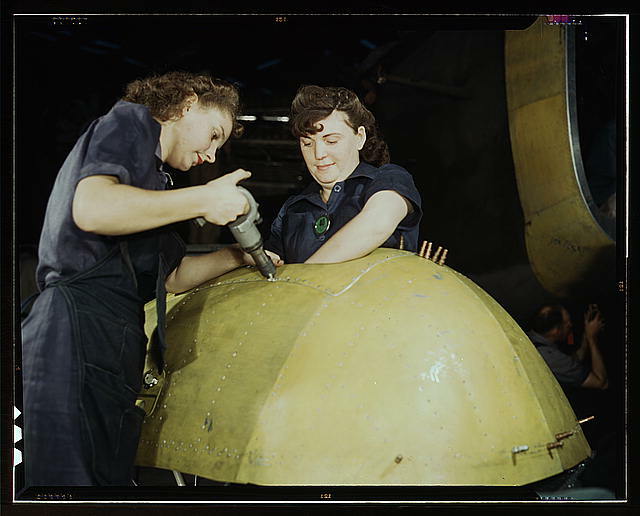 Title: Drilling on a Liberator Bomber, Consolidated Aircraft Corp., Fort Worth, Texas. 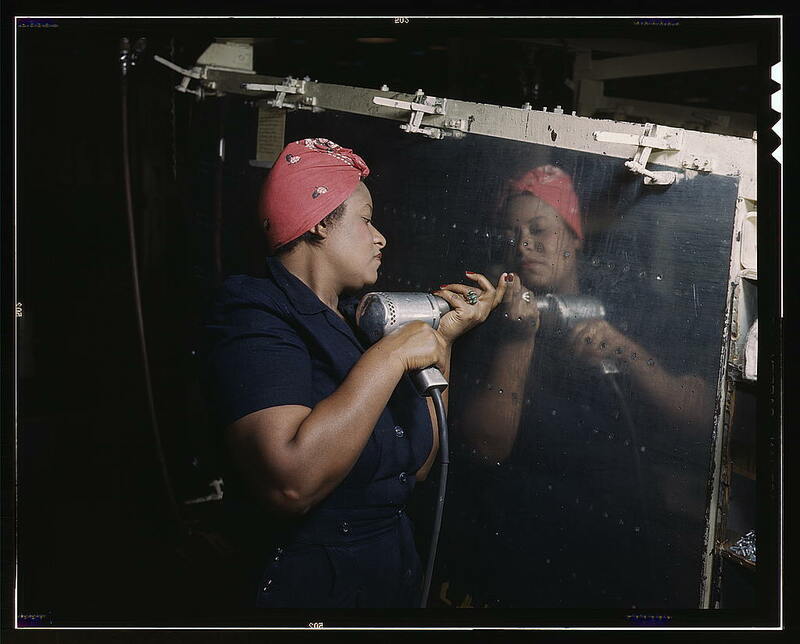 From the Library of Congress WWII Color Photographs collection. Title: Working on a "Vengeance" dive bomber, Vultee [Aircraft Inc.], Nashville, Tennessee. 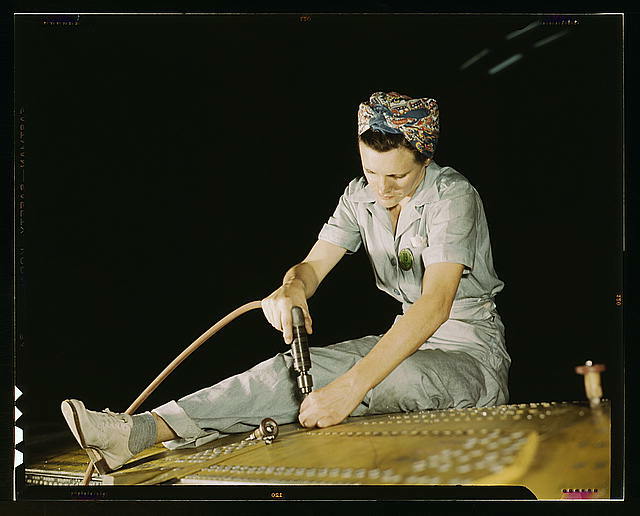 This photo taken in February of 1943, shows a woman working on a Vengeance, dive bomber at Vultee-Nashville. She is using a hand drill. 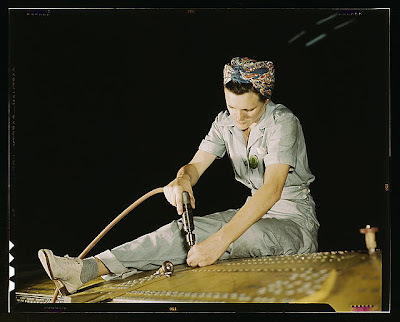 This woman at Consolidated Aircraft Corp., Fort Worth, Tx, works on B-24s, and C-87 transports.